Want to give your boring New Year’s an awesome twist? 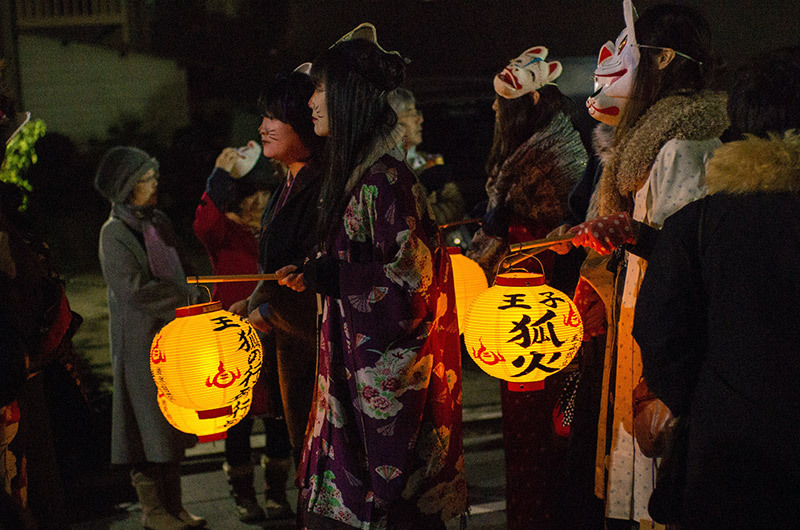 Head on over to Tokyo’s Oji Fox Parade. No, you won’t experience a meet-and-greet with real, live, wild foxes but you’ll experience Japan’s diverse culture and tradition. The fun doesn’t start until December 31st but the crowd can get pretty thick so better pack your bags early and get your cameras ready as early as now. Stories of old describe the fox’s (Kitsune) infinite magical abilities, which include shape-shifting into human form. 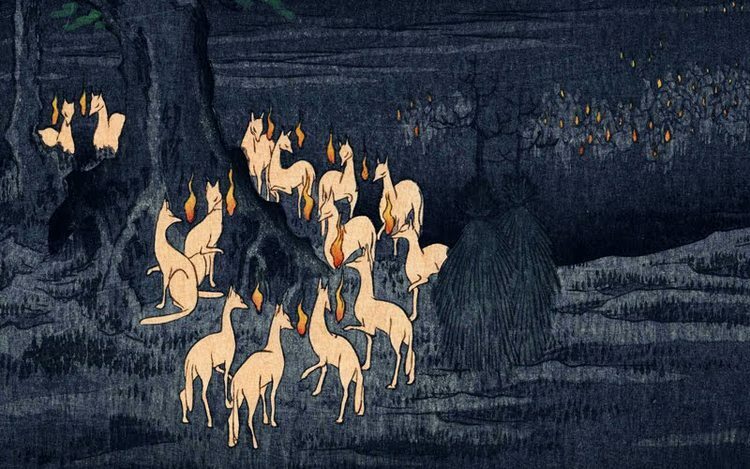 A myth that started even before the beginning of the Edo period narrates the tale of foxes and how they gathered under a giant nettle tree in the Kanto region during New Year’s Eve. 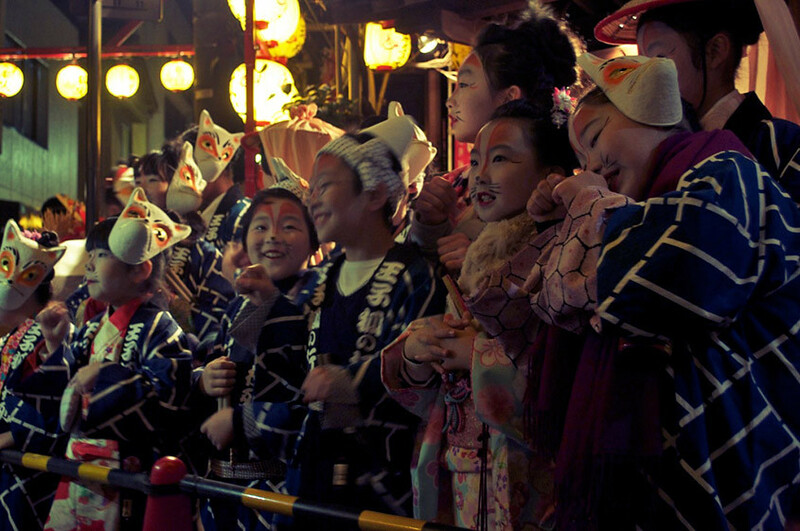 They disguised themselves as humans by wearing costumes and made their way to the Oji Inari Jinja Shrine, a shrine devoted to the goddess of foxes. This great spectacle can be seen in Utagawa Hiroshige’s graphically vivid painting. His masterpiece inspired the very first Oji Fox Parade, which was celebrated in 1993 on New Year’s Eve. The event begins at 9:30 AM on December 31st where different groups, including children and women, line up to witness the opening ceremony of the festival. Expect a lot of parading and shrine-visiting throughout the event. Festival-goers hold lanterns to signal hope and new life. It’s also a way of ending the current year on a positive note as another year begins. Children and adults join the event, not just to keep tradition but it’s a celebration that signals unity, happiness, and optimism for families, friends, and neighborhoods. As part of the tradition, parade participants and on-lookers wear fox masks or creatively cover their face with paint or makeup to mimic foxes. It’s like Halloween all over again minus the goosebumps. The procession concludes at Oji Inari Jinja, where all participants offer a prayer and celebrate the arrival of the New Year. Oji Inari Jinja is a 5-minute walk from Oji Station of the JR Keihin-Tohoku Line, the Tokyo Metro Namboku Line, or the Toden Arakawa Line.